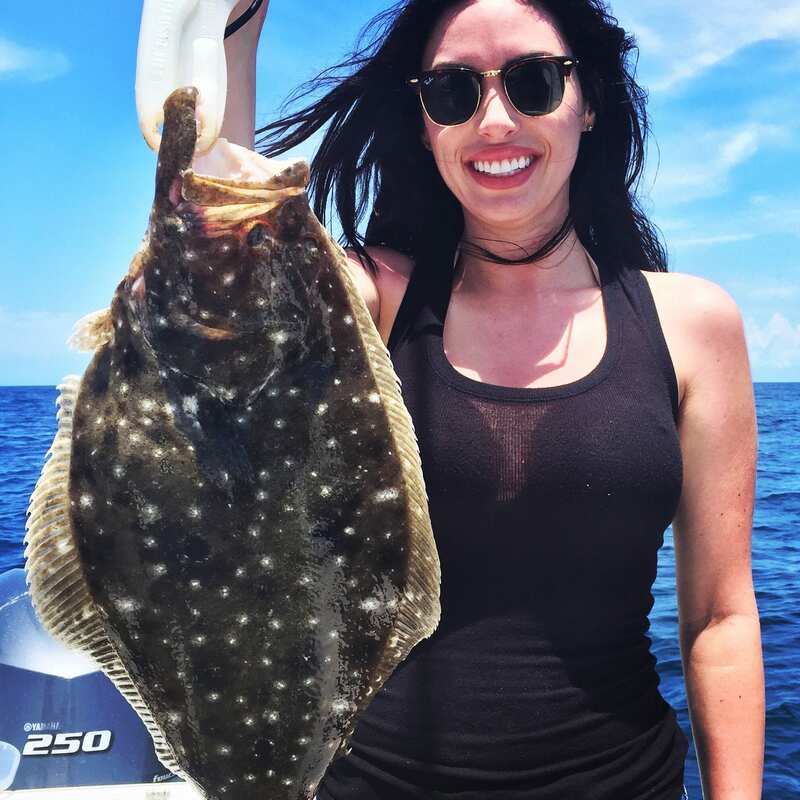 Winter fishing is in full swing in the Clearwater Florida area. Although our winters are by no means considered harsh, it does get chilly. 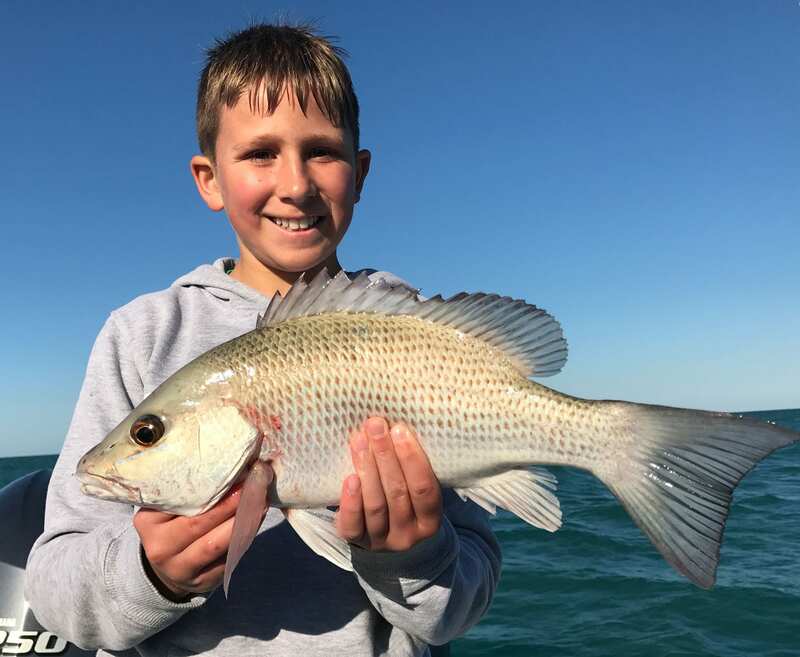 Water temperatures have dipped into the low 60’s which happens to be perfect for targeting Hogfish and other snapper. 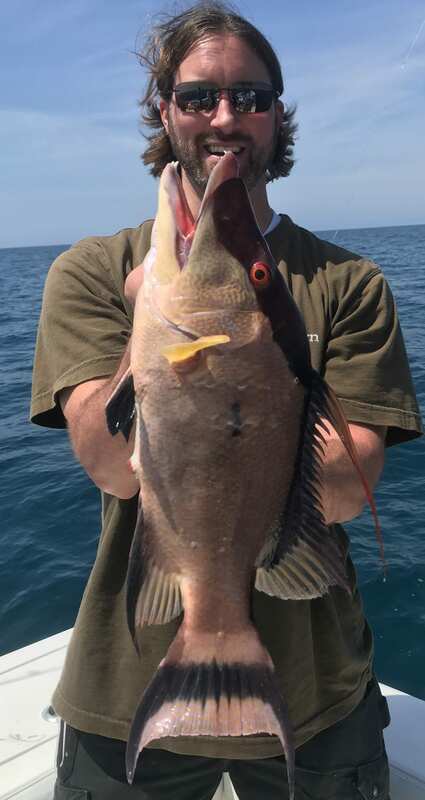 Amberjack also seem to like the cooler water, and are a great catch and release species to enjoy. 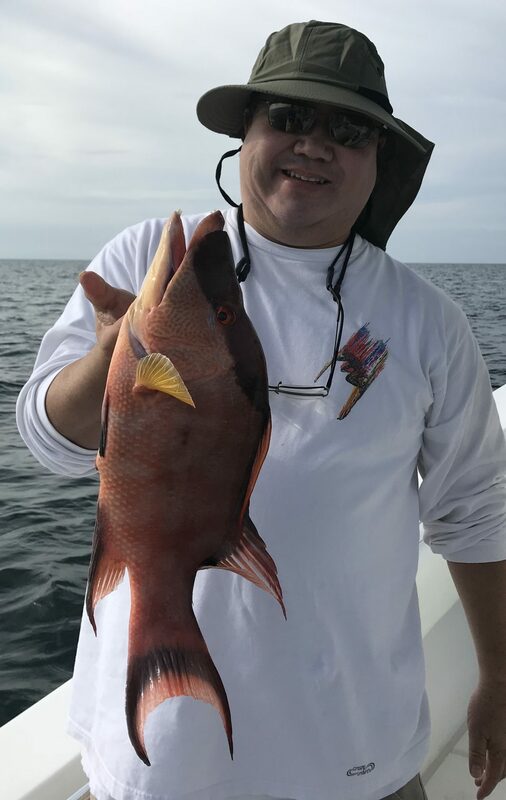 On the 1/2 and 3/4 deep sea charters we are seeing good numbers of Hogfish, Mangrove Snapper, Porgies, Grunts and more. 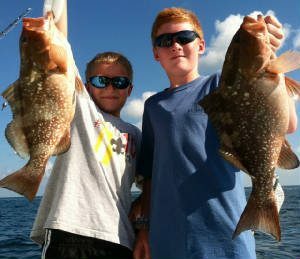 The full day trips are catch and release Amberjack and keeper Red Grouper along with Lane and Vermilion Snapper. 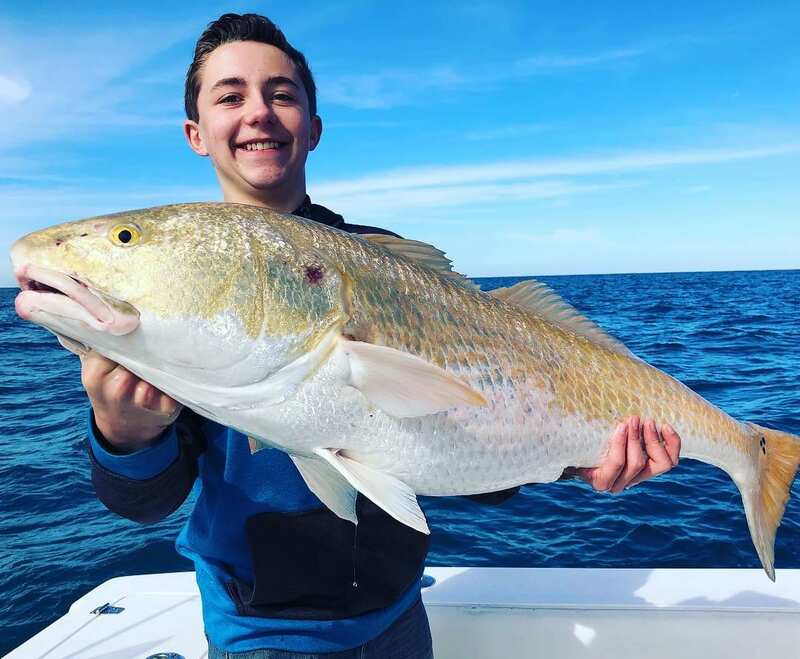 With much of the Northen states covered in snow, now is a great time to get down to Clearwater Florida and go fishing! 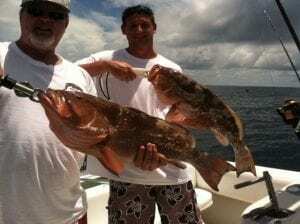 A couple of nice Gulf Red Grouper ! 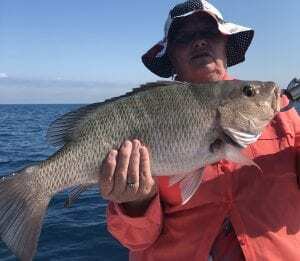 Big Mangrove snapper for dinner!